Spring is in the air, and streets of Barcelona are waking up after winter. March in the capital of Catalonia is full of events offering something to everyone. On Friday 3rd March in Vila de Gracia neighborhood is Sant Medir festival, also called “the sweetest festival” because every year around 60 tons of sweets is given away to the kids. In the Sant Medir parade will be some 120 horses and 26 different parade groups taking part. 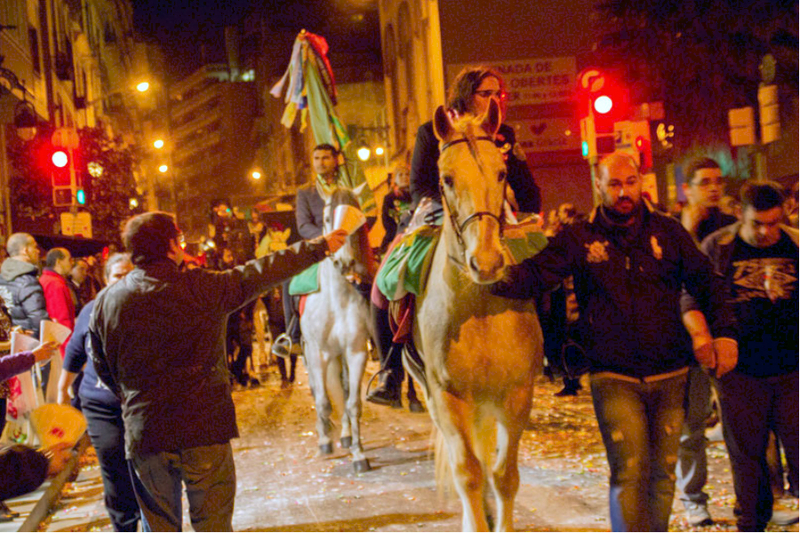 The parade will start from the crossing of Carrer de San Salvador and Gran de Gràcia at 8pm in the evening. More information here. Until 12th of March in Teatro Tívoli is possible to see a musical based on the famous story of Dirty Dancing. In the summer of 1963 a teenage girl finds herself on a boring family holiday in the mountains outside of New York. During a party at the hotel she meets a dance teacher, and that changes everything. Dirty Dancing is delicately done musical with live music and talented dancers. You can buy tickets from here. The Museu Egipci in Barcelona is presenting a new travelling exhibition about the Sacred Animals in Ancient Egypt. During the reign of the Pharaohs animals had a central role in the cultural and religious field, and this exhibition presents their use as pets or hunting preys, economic resources, and cultural expressions like designs of divine images. The most interesting part of the exhibition is presentation about tomography’s made of six animal mummies preserved in the museum. El Rastro de la Virgen is organized the first Saturday of every month. From here you can find vintage clothes, books, music, crafts and so on. Location of the event is Carrer de la Verge 10 in El Raval neighborhood, and it’s going on from 12pm to 8pm. 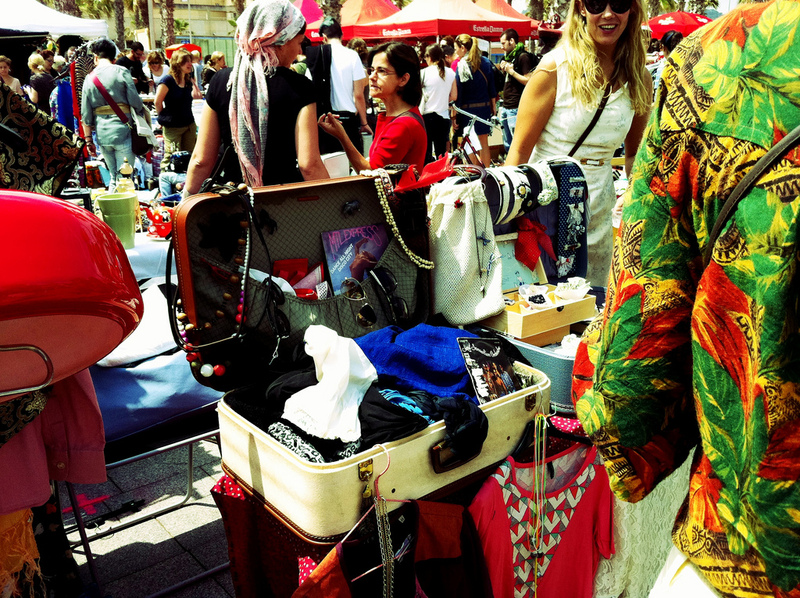 Sunday 5th March at L’Ovella Negra in Poblenou neighborhood is held Two Market Barcelona second hand market. Everything is sold with one euro! The market is open from 10am until 5pm. First Sunday of every month in Filmoteca de Catalunya in El Raval neighborhood is Fleadonia market. There’s sold design and vintage clothes, art, handmade goods, as well as plenty of different bargains. Fleadonia opens at 11am in the morning and it’s going on until 8pm in the evening. Slow Food organization is organizing together with Earth Market the Mercat de la Terra food market in Poble-Sec neighborhood, next to Paral·lel metro. The slogan of Slow Food is “good, clean and fair” and from this food market you will find ethical trading, tasty and good quality food, tapas tasting, cooking workshops and even a kid’s area for the small ones of the family. Mercat de la Terra is organized every Saturday from 10am until 4pm. On Wednesday 8th of March FC Barcelona plays against Paris Saint-Germain on Camp Nou stadium. FC Barcelona have to play a good game after losing 0-4 to PSG in Paris in the first leg. From here you can buy tickets. The FC Barcelona is having a busy March. On Wednesday 1st the team plays against Sporting, on Saturday 4th against Celta, and Wednesday 19th against Valencia. All three matches are played on Camp Nou stadium. You can buy tickets to the matches here. Thursday 23rd of March is Festes de Sant Josep Oriol in Barrio Gótico neighborhood. The festival is celebrated in honor of Saint Joseph Oriol who was born and lived in the old city of Barcelona in the 17th century. At Plaza del Pi and Placa Sant Josep Oriol where the festivity is organized you can see many Catalan traditions, as gegants, parades and dances. In the end of March during the weekend from Friday 24th to Sunday 26th is Barcelona Beer Festival. At the festival you can choose from around 450 different craft artisan beers from Spain and abroad. This year the Beer Festival is organized a little bit outside Barcelona, in La Farga de Hospitalet area. It’s easy to reach with the metro, train and buses. From here you can read more information. Planning to travel to Barcelona in March, and all but an apartment is already reserved? 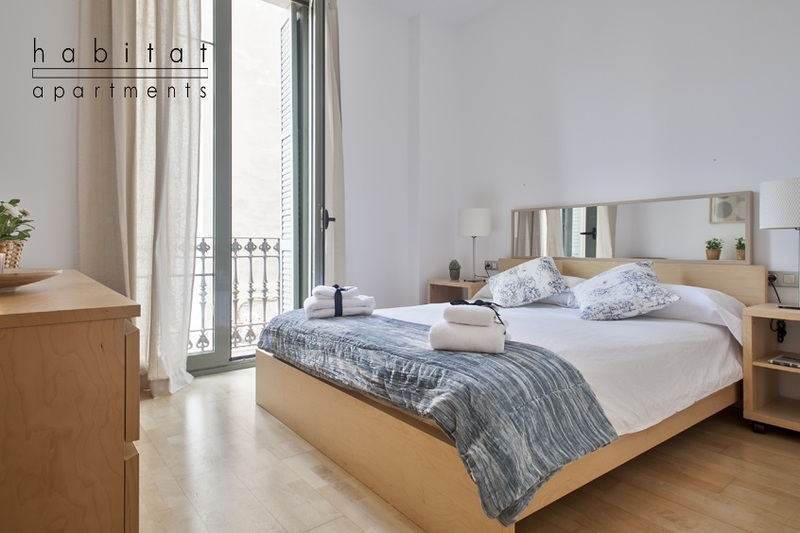 Habitat Apartments offers a wide variety of fully equipped apartments all around the city of Barcelona. Have a look for example on this beautiful apartment, where sleeps comfortable five persons. The apartment is located in the exclusive Eixample neighborhood. If you would like to get all our news and tips for your holiday in Barcelona, please feel free to follow our sites in social media.